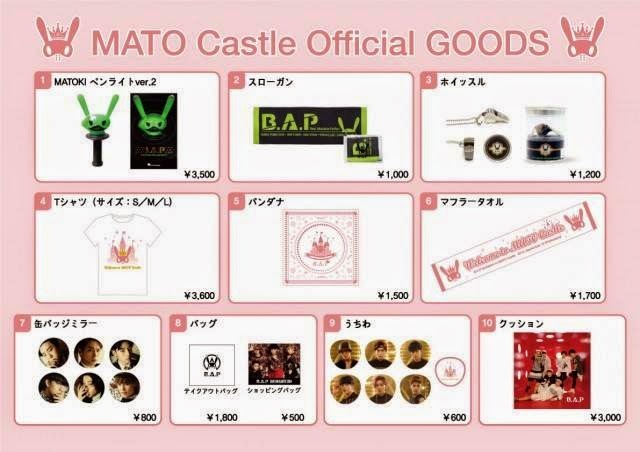 Mail order for “Excuse Me Release Event Goods, “Invitation to MATO Castle Goods” will begin September 19th, 2014 at 6:00 p.m.!! The items will be on sale on September 15th from 10:30am AM. Zelo: and Zelo. Jongup, have you received your invitation for the Mato Castle party? Zelo: Lots of beautiful Babyz will come, right? Jongup: Ah~ I'm also practicing new impressions. Zelo: Oh yeah~ I want to see it soon. Zelo: Everyone, don't cheat on us! Everyone, how are you? It's B.A.P's Youngjae. Lately B.A.P is busy with party preparations but it seems that there will be a lot of fun games and events! It's a secret but there will be a terrible punishment for the member that loses the game! 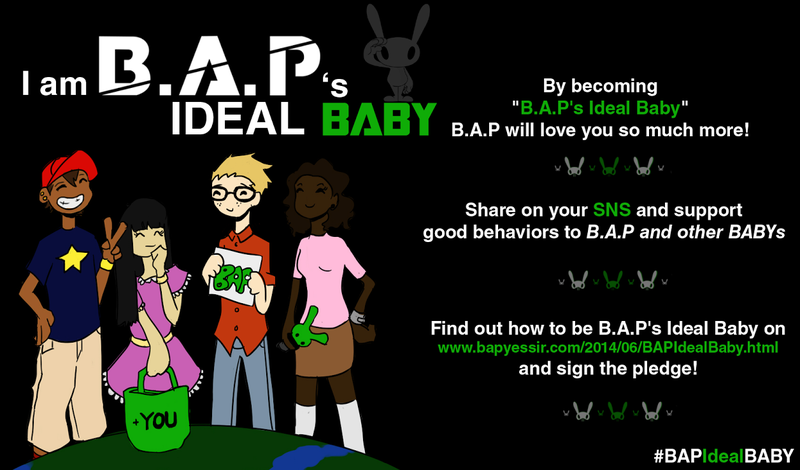 And I have an announcement: If you have a question for B.A.P, sent it to us and we'll answer it! B.A.P's everything is open to you~~~!! We're expecting a fun party. That's it, it was B.A.P's Youngjae! Bye bye! We'll be meeting everyone at Mato Castle on September 15, right? The concepts for the first and second events are different, so we are now preparing for them. 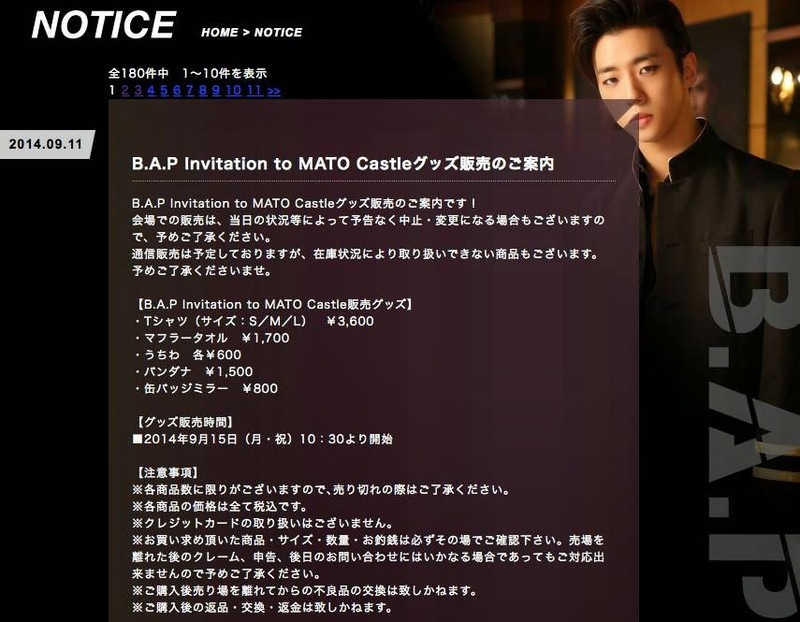 Everyone, please come enjoy "B.A.P's Invitation to Mato Castle." We wish everyone can make fun memories. That's all from B.A P's Yongguk." "Everyone, hello, I’m B.A.P’S Himchan. Did you all receive your invitations to Mato Castle? I will of course also be going as a handsome prince. Hmmm, I may find my perfect Princess Baby there, right? Will you please become my partner everyone? Everyone please come stylishly, ok? I’m waiting at the party! Everyone this is B.A.P’s Daehyun, it’s been a while! We in B.A.P have become princes and are having a great party! On September 15 we invite our Baby Princesses to Mato Castle! You’ll have to come to Mato Castle on event day to know what contents the event will hold. So, we’re waiting for you! That’s it from B.A.P’s Daehyun, thank you, I love you! 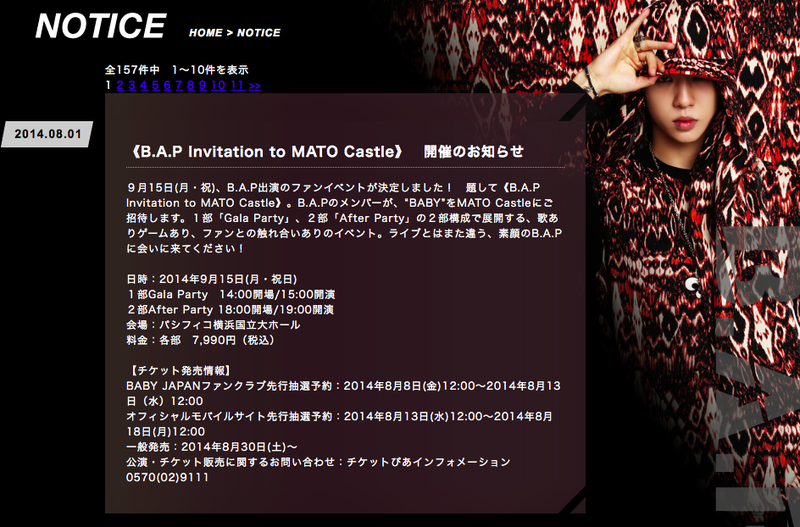 September 15 is the day of B.A.P's fan event "B.A.P Invitation to Mato Castle!" Introducing Babys to Mato Castle, there is the first "Gala Party" event followed by a 2nd "After Party" event. Different than a concert, it will have songs, games, contact with fans and show B.A.P's natural side. if only i could own or buy a private jet for myself and hire me a good pilot..i would love to go to wherever B.A.P will go during their live concert tour,events,fanmeets,fansigning,etc,etc,etc. sigh..how i wish i'm that rich..
please oppas think of the ones that can't make it.